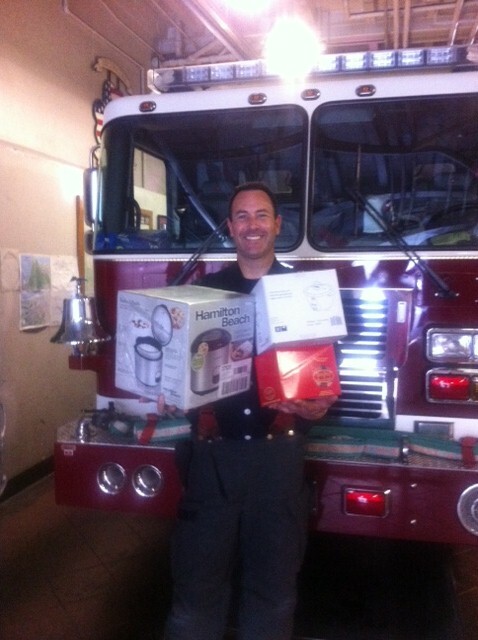 Recently we donated a bunch of SooFoo and rice cookers to various stations of the San Francisco Fire Department. We even invited firefighters from the SFFD to start preparing their own SooFoo recipes and the winner would win a large rice cooker, a personal SooFoo rice cooker and a box (6 bags) of SooFoo. The winner? Firefighter Danny Garcia from Station #1 Congratulations! But what good is a winning recipe contest without the winning recipe? Here you go, the SF Firefighters’ Finest Hot Pepper SooFoo! Start SooFoo cooking per directions on package. Make a slit in peppers and take out all the seeds. Heat oil in a pan, add all the veggies and saute. Remove and mix veggies in Bread crumbs and cheese, and allow to cool. Add cooked SooFoo to the veggies. Put on greased pan Put in oven for 20 mins at 325 degrees. Drain any excess oil with a paper towel. Garnish with Sour Cream, can be served hot or at room temperature. Unfortunately we don’t have a photo of the winning recipe but we will definitely be trying it soon and putting a photo on our Pinterest site! Congrats again to Danny Garcia!